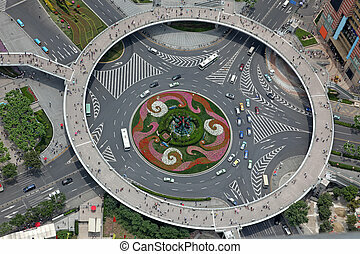 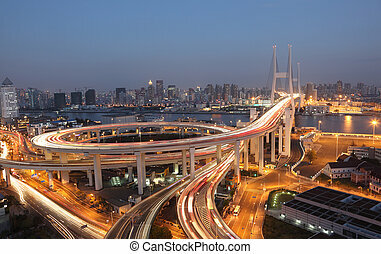 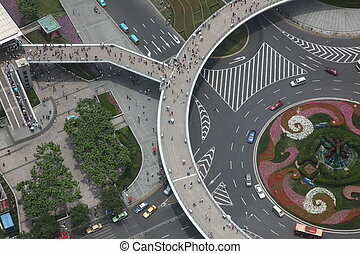 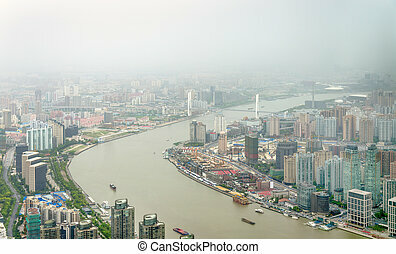 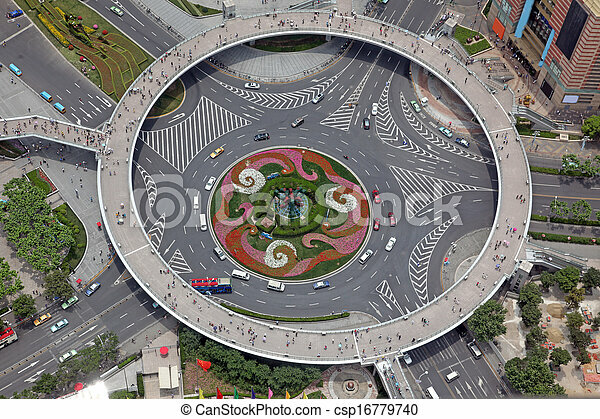 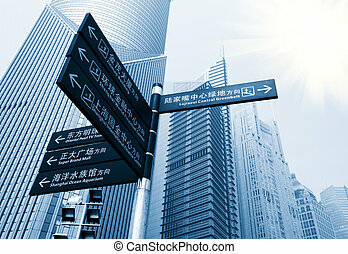 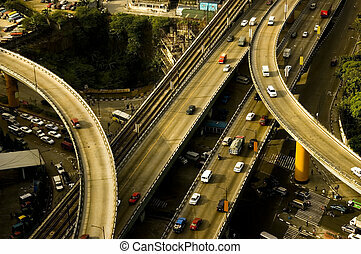 Aerial view of the crossroads in shanghai, china. 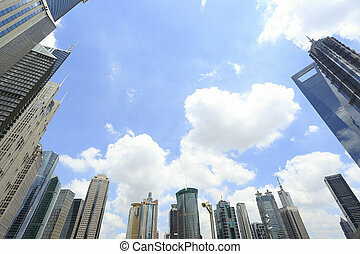 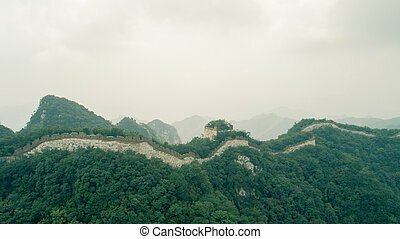 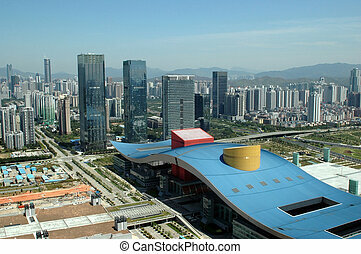 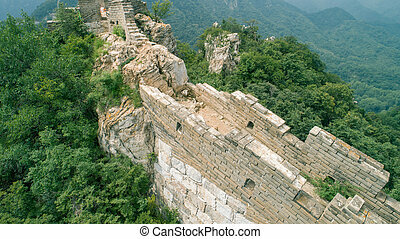 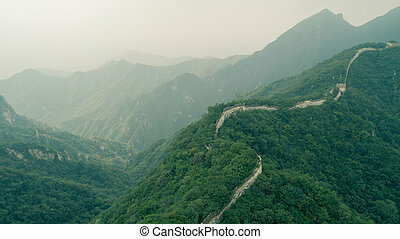 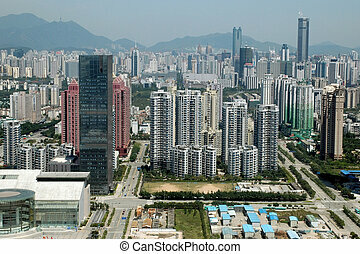 China, Guangdong province, modern, prosperous Shenzhen city. 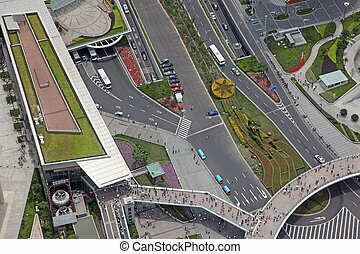 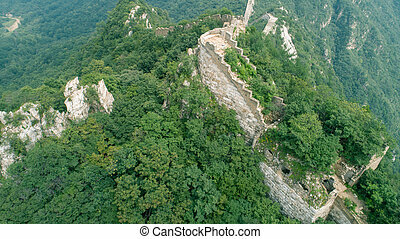 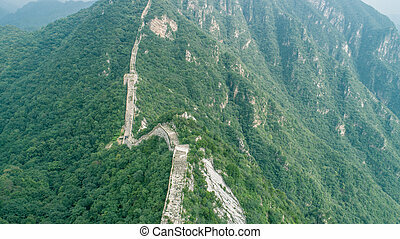 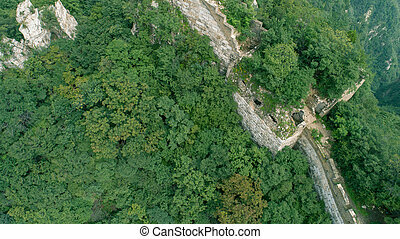 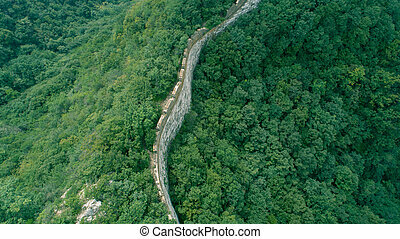 General, aerial view from high building. 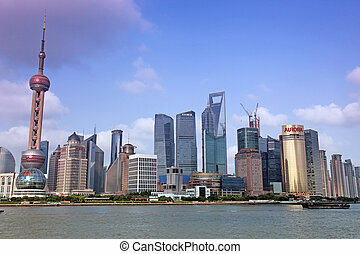 New office skyscrapers, shops and hotels in Futian district. 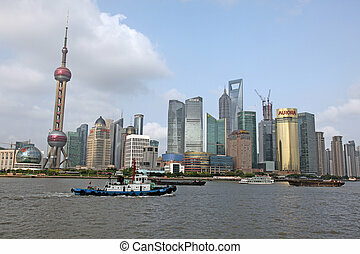 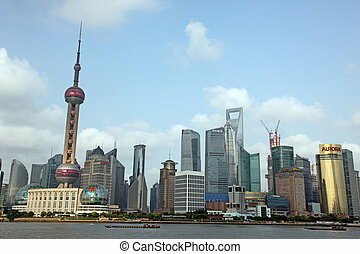 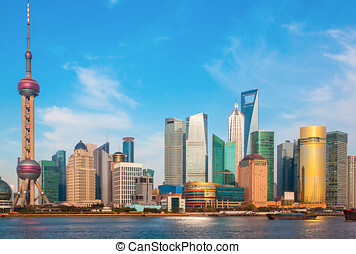 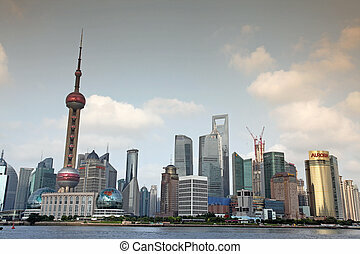 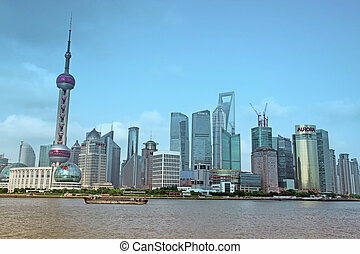 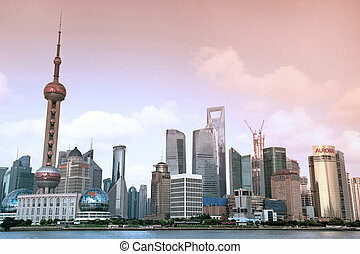 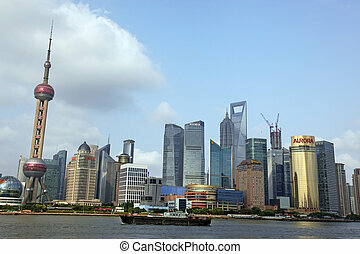 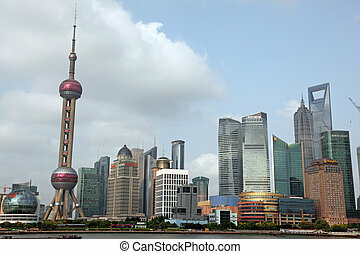 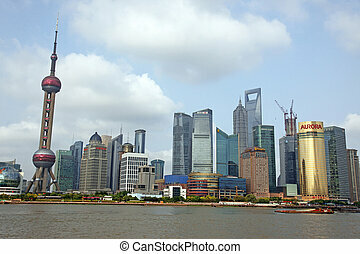 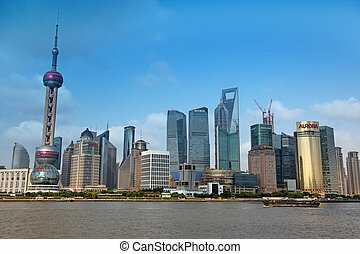 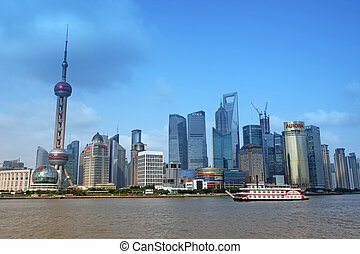 A view of a sunny day of Shanghai from the Bund.